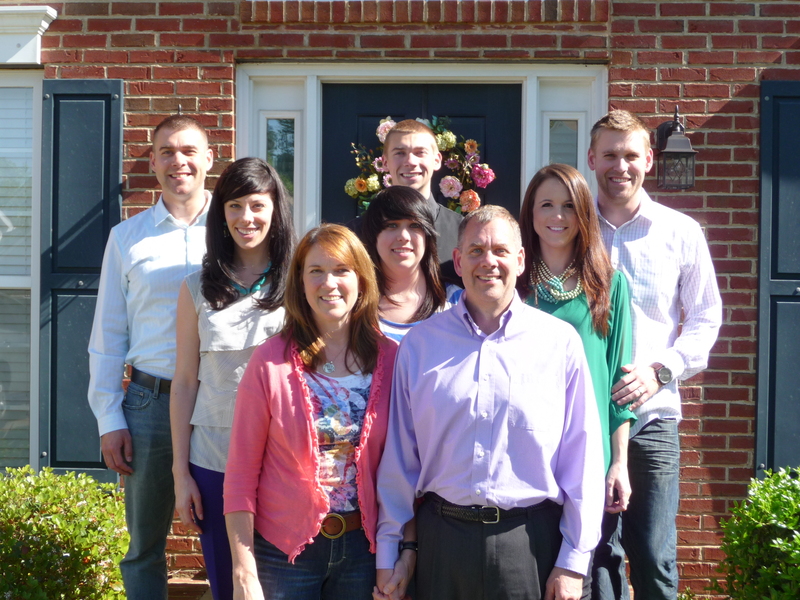 A couple weekends ago my in-laws decided to come to Charlotte to get our whole family together. Todd has an older brother who is married, a younger brother who is in college in Charlotte, and a younger sister in high school. Most of us live here, besides his parents and his sister. All of our schedules are pretty different, so it is quite a feat to get us all in one place at the same time! This is all of us last Easter. The youngest in his family is his sister, Abbie. Her birthday is February 29th (leap year baby! ), so we wanted to celebrate the first weekend in March. She LOVES Mexican food, so when Todd’s mom told us they were coming to town, I knew I should make that for dinner! I love cooking Mexican food, and enjoy making it more upscale, from scratch (mostly), healthy, and also just adding variety. For this meal, I knew that most of it needed to be made ahead, so tacos wouldn’t be the best option. I decided to go with enchiladas 2 ways. 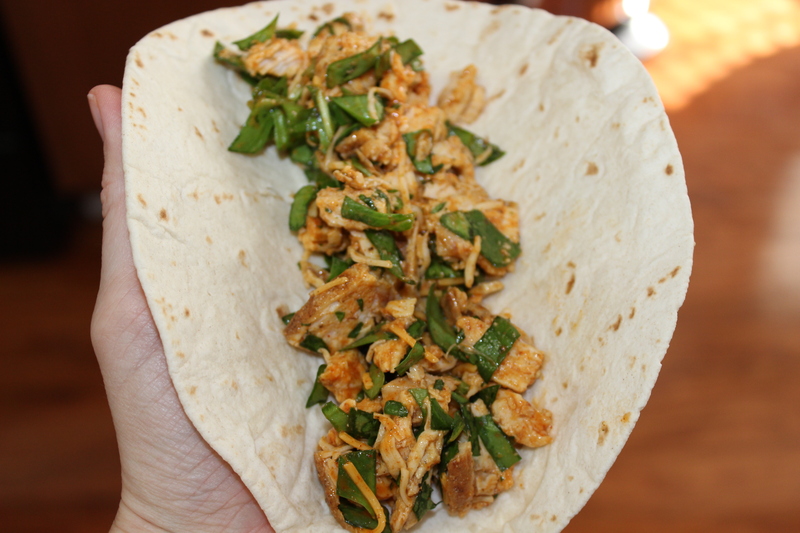 This post will show the first recipe: Chicken and Spinach! These can be prepped and made ahead, then cooked right before serving. The filling could be done the day before. 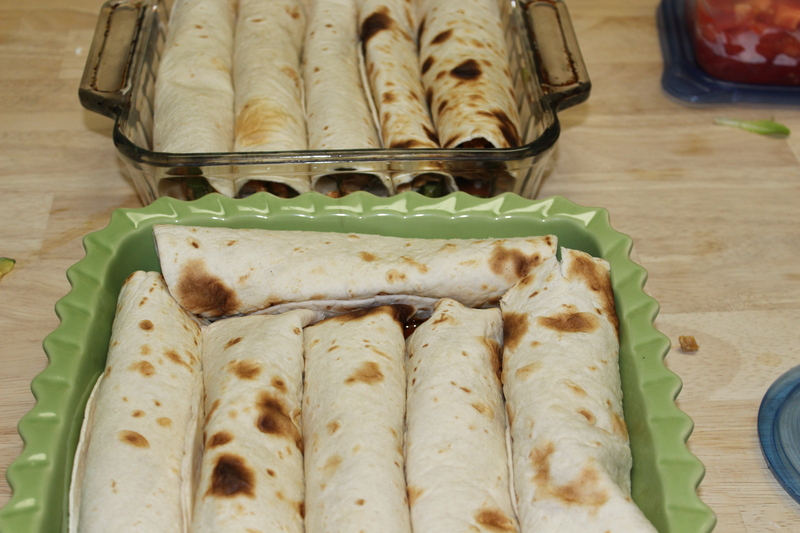 They can be filled and rolled and kept in the refrigerator for several hours before heating for a meal. Once the chicken has cooked and cooled, slice or shred into small pieces and set aside. 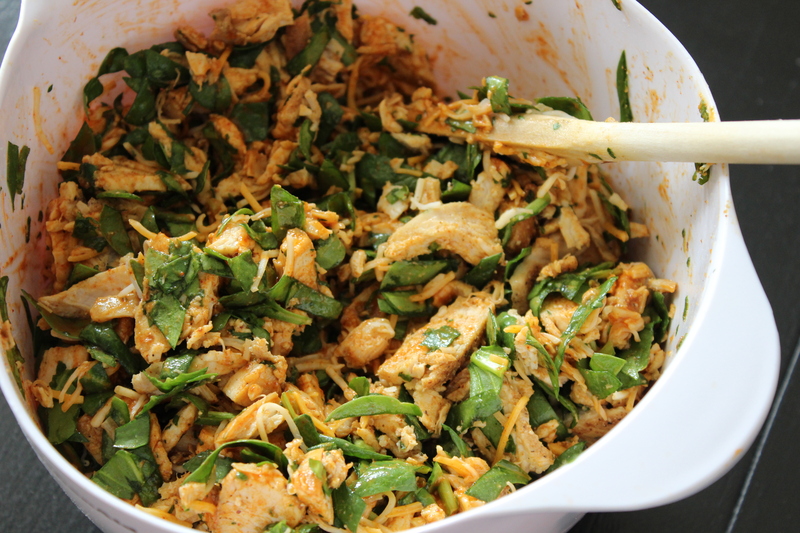 Chop the spinach and the cilantro into fine pieces and put into a mixing bowl with the chicken. 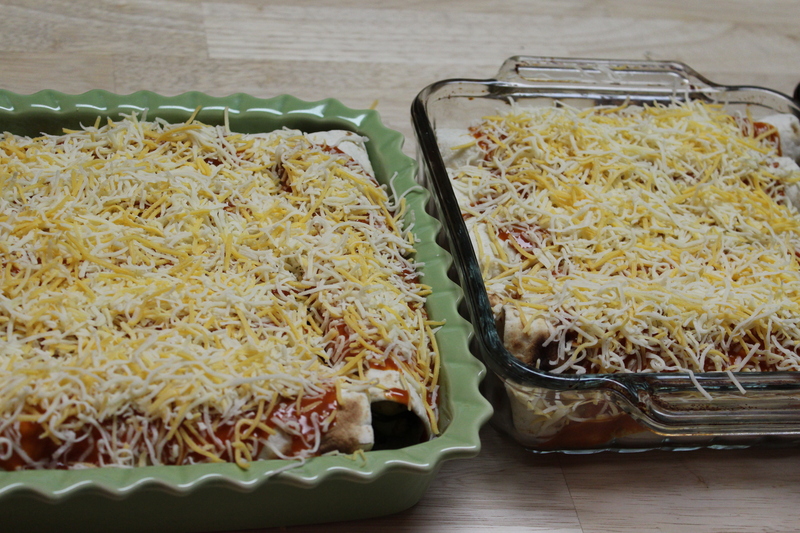 Add a few Tbsp of the enchilada sauce, the lime juice, another teaspoon of cumin, and 1/2 c. of shredded cheese. Toss all of this together. This is the enchilada filling. Broil (or grill) the tortillas until just browned. Spray the bottom of a 9×13 casserole dish. ** Spread a few tablespoons of the enchilada sauce on the bottom of the pan. 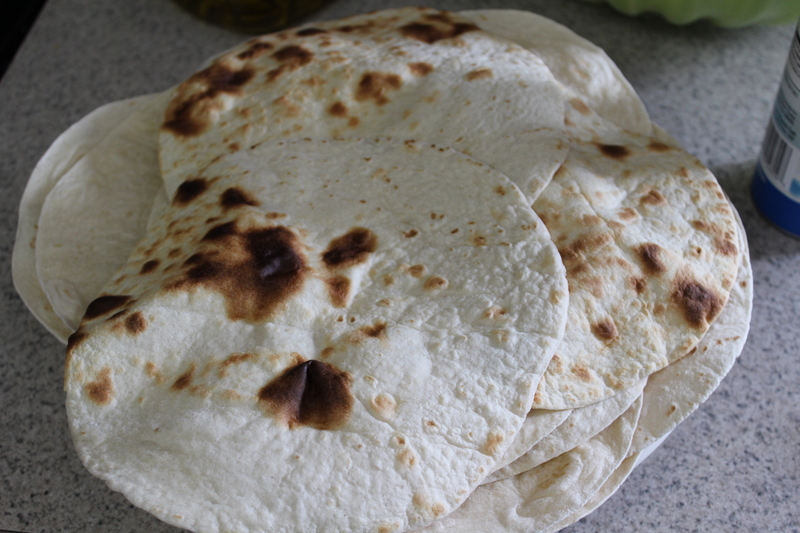 Fill each tortilla with some of the filling, roll up tightly, and lay, seam side down, in the casserole dish. The enchiladas can seem squished in the pan – that is okay. Once the pan is full, pour more enchilada sauce on top until mostly covered. Sprinkle the top with the rest of the cheese. (At this point they can be refrigerated for several hours if needed). Bake at 350 degrees for 15-20 minutes or until the cheese is melted and the sauce is somewhat bubbly. 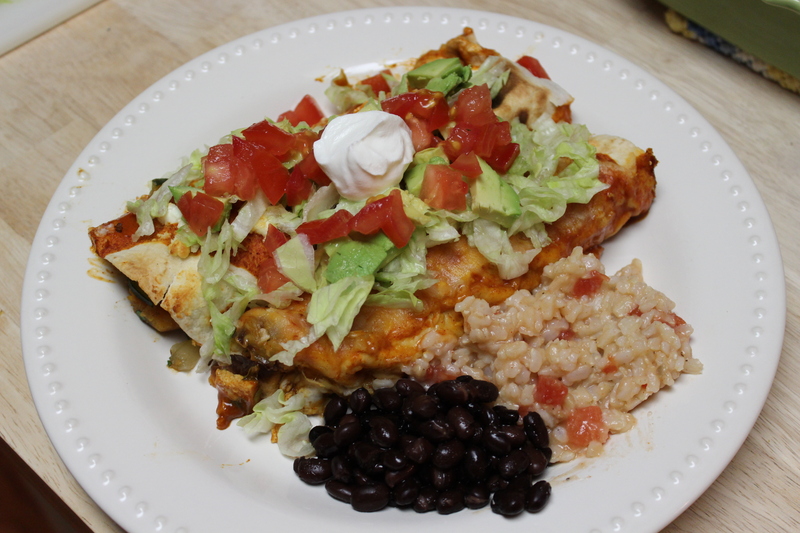 As shown above, I served them with black beans, brown rice cooked with diced tomatoes and spices, and lettuce, tomato, avocado, salsa, and sour cream for topping. *You can easily boil chicken and shred it, or use a store-bought rotisserie chicken to make it simpler. **My 9×13 casserole dish was already in use for the other type of enchiladas, so I used two square pans (they’re 8×8 I think). I actually enjoy cooking or baking for people who have a wish list, or are specific in what they want. It helps me to narrow down the options, and decide what I want to serve. It also forces me to be creative, which is essential to my growth in the kitchen. You will also need skewers (medium size – longer than toothpicks) and a pastry brush. The only “cooking” involved in these is to cook and chill the tortellini. It is best to buy fresh tortellini. I boiled it in salted water with 1 Tbsp olive oil, according to the directions, drained it, then spread it out on a baking pan to cool. This helps prevent the pasta from sticking together. 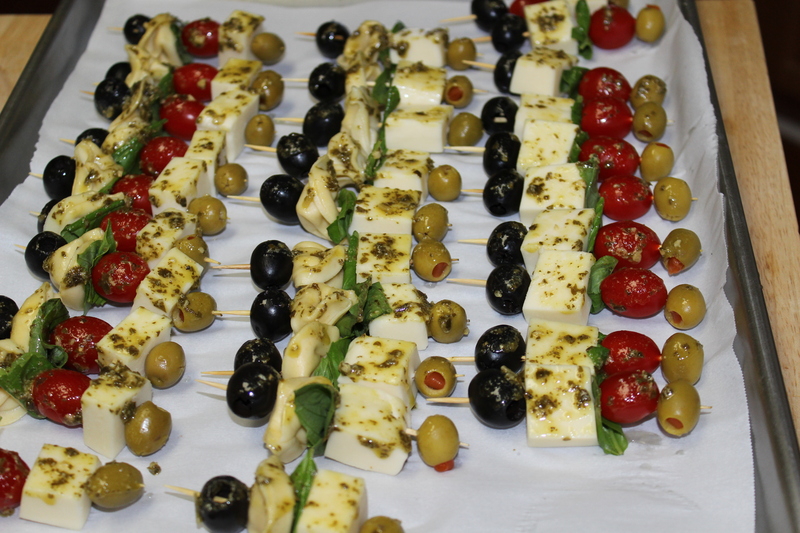 After they are all complete, and soon before serving, brush the components of the skewers with pesto. Refrigerate until service. To make GF, leave out the tortellini. 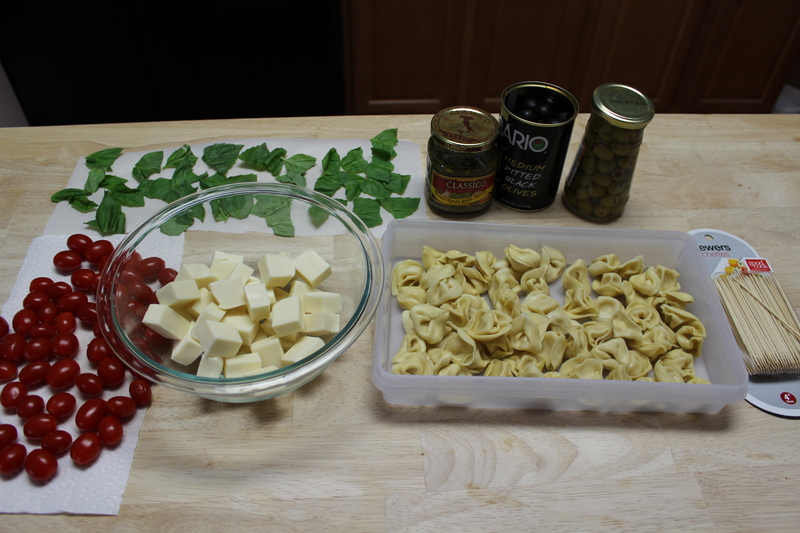 Some other ingredients that could be used on these would be pepperoni or salami, sausage, and artichoke hearts. This appetizer would be great for anything from a game night to a wine tasting! Enjoy! Breakfast is a challenge when trying to eat clean and healthy. It is difficult to find time to make a healthy meal first thing in the morning, especially before the first cup of coffee. I typically eat the same breakfast: Fiber One Original, bran flakes (Trader Joe’s), and unsweetened vanilla almond milk. But I know I need to branch out and eat a breakfast with fewer carbs and more protein, so I made these mini frittatas (could also be called egg muffins). These are very simple, nutritious, and can be made ahead and enjoyed the whole week. I made 2 kinds – one for Todd, and one for me. Here are the recipes! For each kind, spray a 12 cup muffin tin. Add in a spoonful of black beans, then a small handful of spinach to each muffin cup. Next, in separate bowls, whisk the eggs/egg whites with the milk and season with salt and pepper. Pour the egg mixtures over the spinach and black beans, filling the cups about 3/4 way full. This is the egg white version, pre-cooked. For the whole egg version, top with mozzarella. Preheat the oven to 350 and bake each for 15 minutes (the egg white version may take closer to 20 minutes, depending on your oven). Let cool for a few minutes, then slide out – use a butter knife to help separate from the edge of the pan if needed. We go through a lot of granola in our house. Todd’s breakfast every morning consists of Greek yogurt, berries, banana, raw almonds, and granola. And I occasionally enjoy it with almond milk as a snack. Because of this, I have tried to start keeping homemade granola in the pantry, instead of buying it. Store-bought kinds tend to be high in sugar and fat. This granola recipe is originally from my grandmother, who gave it to my mom (and my aunts), and she gave it to me! I have changed it up a bit, though. I will post the original recipe, along with my changes. Mix the oats, nuts, sugar, salt, and cinnamon in a large mixing bowl. Heat honey, oil, and vanilla together; store to mix. 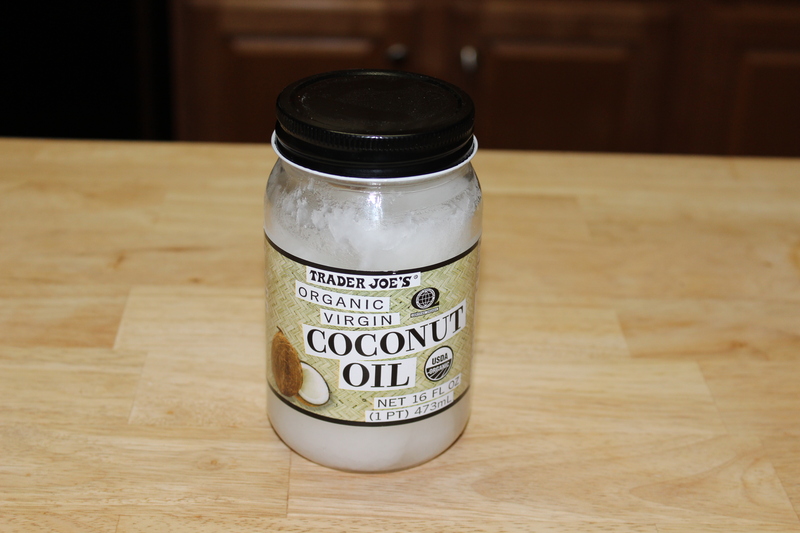 Coconut oil is solid at room temperature, but when heated, it turns to a liquid. Pour the honey/oil/vanilla over the oat mixture, stirring well until all ingredients are covered, and the brown sugar is no longer in clumps. Pour into a 9×13 baking pan. Bake at 300 degrees for 40-55 minutes, stirring every 10 minutes. (I baked mine a total of 45 minutes, but it just depends on your oven. It will turn a golden brown). Cool in the pan. Add raisins, dried cranberries, or chocolate chips if desired.